← Engaged Employees, is that enough? 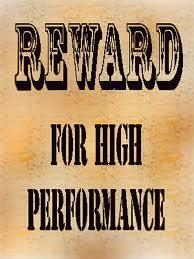 What are you Rewarding Employees for? Last week I referred to an article by Henriette Rothschild and performance management as one of the nine drivers of productivity. This week I want to delve a little deeper into that and expand on it as well. The article, based on research conducted by the Hay Group, refers to ‘linking individual performance to the organizational strategy and business plans’ as part of the performance management package. What exactly does that mean? If the business strategy is to focus on retention of current customers does your company reward people for bringing in new customers? What message does that send? Aligning performance to strategy is about sending one consistent message. That doesn’t mean don’t reward those employees that do good things like bringing in new customers but make sure the rewards for following the plans and strategy of the business are better and consistently followed through on. That brings me to another one of the drivers of productivity – Reward only the Best. Organizations need to manage all employees but those that demonstrate traits that are most highly regarded by the business need to be the best compensated. When I look back at a business I was once in our highest paid employees were those that were often the hardest to manage. Sometimes they were the ones that caused unrest among the other employees, occasionally they caused others to quit. They demanded more and got it. What did they all have in common? They got the job done the fastest! What kind of message did that send? As long as you get the job done fast its ok to treat people badly or demand more than you deserve. We didn’t set out to send that message, it just happened. While those employees might have looked like the most productive there wasn’t much room for anyone else to operate at optimum levels including their managers. I challenge you to have a look at your highest compensated employees. What in fact are you rewarding? Posted on November 16, 2011, in Business Productivity, employee performance, performance management, productivity and tagged Business, Performance management, Productivity. Bookmark the permalink. 3 Comments. Boy, Janet, you have hit a nerve with me on this one. A management axiom is that you get what you measure and reward; yet, I have come across many instances where the law of unintended consequences is fully in play with reward systems that seemed like a good idea at the time but were not very well thought through to their conclusions. I appreciate the comment. Yes it hit a nerve with me as well. Unfortunately it was in hindsight so nothing could be done. Glad you liked the post.